Is There A Code For Alignment? Anti Fed Ed Warriors, I know many of you will be getting ready for celebrating Thanksgiving, as I will be. However, before we all eat too much, I wanted to leave you with some things to ponder. You see a question in the article’s title. Look below and you’ll see another one to ponder. Warriors, you really should see the rest of the education related compromises. While this IS a NC Legislative Budget supposedly for public education, it crosses the lines into private education and home education by using STEM, CTE, College and Career Promise, and more. In the academic year 2018-19, funds for the Coding Grant Program will double to $800,000.00. What if you don’t live in NC? Well, Warriors, as we’ve learned from experience, when it’s connected to the CCSS Machine, it will be in ALL the States, Territories, and military bases contained within American power. Warriors, below is a screen shot of an interactive NC DPI Career Pathway map. Here’s the link to the map. Be sure to refresh the page to find out whatever information you’d like most to see. While NC’s not a PARCC State, I did find this evidence of the International Morse Code inserted into 4th Grade Common Core Standards. Lumos is located in NJ. It’s also knee-deep in 21st Century skill based learning. To see what I’ve previously shared (2015) with you about ACT’s Aspire, go here. To see how Aspire is part of ESSA (Every Student Succeeds Act) mandates, go here. Lumos Learning has quite a few resources where they help States with Title One funding, where they are sounding off about Pres. Trump’s impact on education, and more. 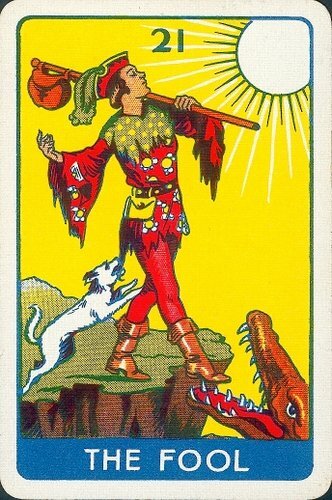 Lumos Learning is a division of Lumos Information Services, LLC. I found plenty of YouTube videos for Lumos Information Services, LLC. I also tried to locate the CEO, the Board of Directors, and other related information, but very little success was had. Warriors, this, of course brings about several questions. 1) What federal funds will these private coding partners receive, if any? 2) What State tax breaks will these coding partners receive? 3) What about any un-funded portions of the coding programs in schools. Will the taxpayers be expected to pick up the tab? 4) What happens if any of these schools are graded as failing? 5) What about the private schools and homeschool students utilizing NC DPI’s Virtual Public School or are involved in any early college/career programs? 1) My article on the National Career Pathways Network. 2) My article from 2015 showing you CAPS from KS is still tied to the Career Pathways. 3) The ALA (American Library Assoc.) is giving $500,000.00 in coding grants. The sponsor? Google. 4) When I searched for ‘National Coding Grants’, the National Endowment of the Humanities surfaced. They sold out to the CCSS Machine long ago. 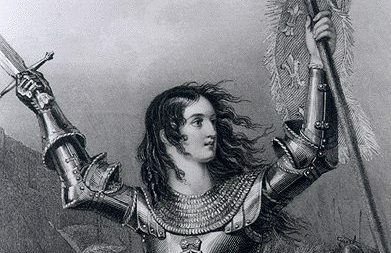 Since the NEH receives federal funding, think about this: coding means technology, innovation, and, computers. Which translates to data. Data needs to be collected and studied. We also know how data collection has turned into a massive nightmare for our freedoms and privacy. We also know that the federal government is making bold steps (no matter how illegally based they are) to create MORE data mining. All this data will need deciphers. How awful it is that our students education will train them for such ill purposes. Sadly, the NEH is not alone when it comes to federally funded grants for coding or anything related. 5) When I searched for ‘STEM Coding Grants’, the first resource which popped up was the U.S. Dept. of Ed’s Office of Innovation and Improvement. Below is the screen shot of the interactive map for all the innovation (will include Race to the Top, and much more) from FY 2009 to FY 2017. 6) To access the “STEM 2026: A Vision” from the U.S. Dept. of Education, visit the highlighted phrase. What you see is that coding is tied to Google, United Way, and more. You’ll see what student groups are being most targeted for coding. That brings me to ponder something else. Since ESSA was supposedly going to break down education for equality, why is the federal government working with the CCSS Machine to discriminate against students using education as the weapon? Warriors, we know Google is hardly the lone aligner in all this coding. We also know that all this coding is meant to confine citizens. Warriors, as I stated earlier, this is probably not the news you want to mull over during your family time. I do thank each of you for continuing to access my blog. I wish each of you a blessed time together. Look at what is going on in your State when it comes to coding or workforce based regional partners. Find out what is going on in your schools, or if your school is in the living room, look at what extra curricular activities involve anything related to any of the coding, apprenticeships, etc. Near or far, I wish you and your family a wonderful week. Yesterday, anti CCSS/Fed Ed Warriors, I stated we would look a bit closer into the CCSS Machine to find out about a ‘silent partner’. Before we look at who or what group is revealed, let’s continue with where I left off, the U.S. Dept of Labor’s involvement. If you have not heard of the YouthBuilder Grants from the U.S. Dept. of Labor, now is our opportunity to learn just how these are tied to the CCSS Machine. HUD, A Silent CCSS Machine Member? Knowing that I have shared with you many times, in many articles how the U.S. Dept. of Labor is ruining quality education, I haven’t shared what I have found out about HUD. That ends now. HUD is a part of our government which seeks to equalize neighborhoods across America. While that is a good mission, it is not necessarily up to our federal levels of government to oversee, at least from what I have found out. However, we have seen the federal government overtake healthcare and education, so I guess overtaking the neighborhoods stands to reason. While education is not specifically mentioned (that I saw) in the paper about the HUD’s New Core Shared Service Project, some of the same CCSS Machine member organizations ARE involved in this community wide, encompassing Project. 2) The first 5 Promise Zones were in TX. PA, CA, Southeastern KY, and the Choctaw Nation in OK. Below is a screen shot from the White House. 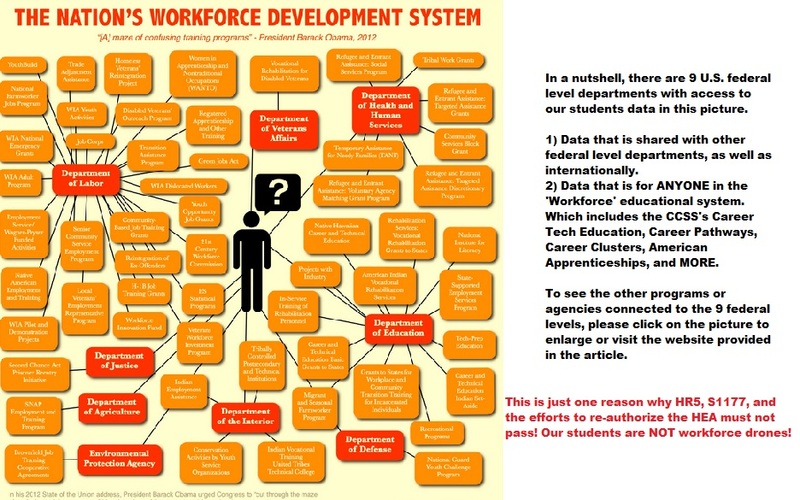 I hope you have been able to see the connections between the U.S. Depts of Education, Labor, Housing and Urban Development; the White House overreach; the CCSS Machine and the alignment to workforce based education. When you expand the screen shot below, you will find Youth Build in the upper left hand corner. You will find SNAP (it was the featured news NOT circled in the screen shot about the Center for the Study of Social Policy.). If you go back and look at the many programs HUD has for job training, you can probably spot them below, as well. Since all these agencies are involved in the education reform, alignment to workforce based education via WIOA and ESSA is a given. 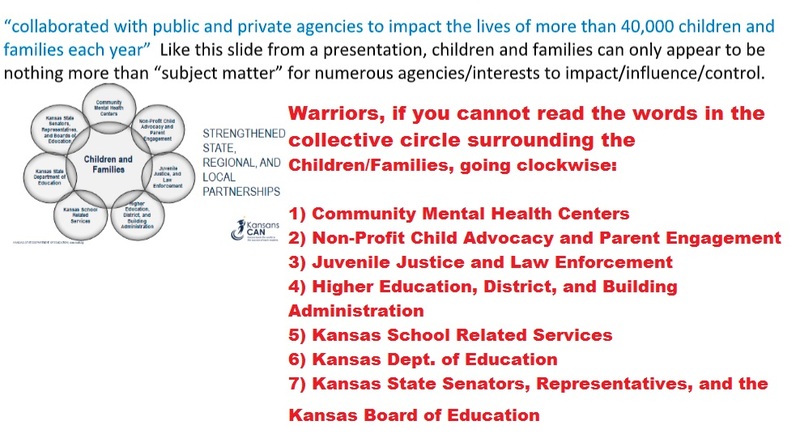 For the last weekend in April (2016), I wanted to leave you with a few things every anti CCSS Warrior needs to know about P3s (Public private partnerships). If you missed these, you can now find them in one place. 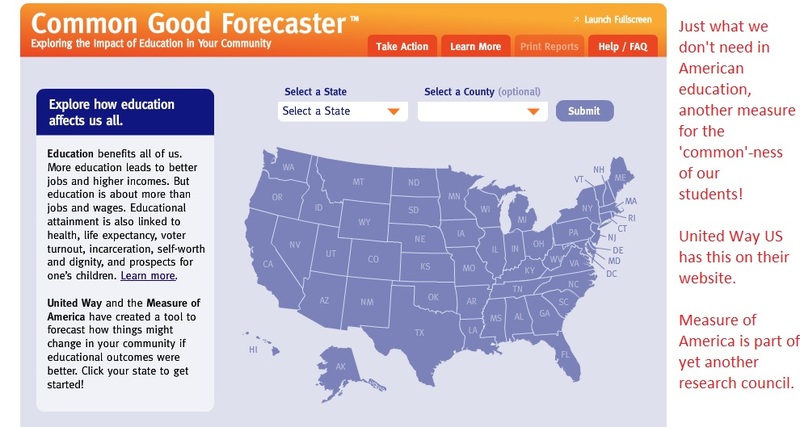 If you haven’t gotten this information before, you now have some great tools to use. If you have followed my research long, you know that time and time again, the P3s keep showing up in the midst of the CCSS Machine and its grinding away at America. Like everything fed through the CCSS Machine, P3s and their intent is not good for education at all. What once was to be a healthy relationship between government and the private sector has become a holy hell. Consider this: early P3 relationships concerning the private sector and schools were to BUILD the schools. That way the private sector could return to their private business and the schools could get on with teaching. But in the shift to CBE (Competency Based Education) aka OBE, (Outcome Based Education) the private sector has done more than build the schools, they now help guide what is taught. Meanwhile the schools have appeared to have no problem selling our kids education out in the process. Recently, while on a national webinar/conference call with a pro CCSS group concerned about the ESSA and civil rights, they brought up the fact that P3s were a great thing in schools. When I asked them about Page 137 and the mandate; how would the P3s be accountable; how could the P3s do the teacher’s job, they were stumped! I was told that while they didn’t have a good answer they certainly agreed P3s need to be vetted and deemed appropriate. This is a blazing example of a P3 overreach. While it is supposed to be in high schools only, think about the fact our high schools are being redesigned (or already have been) and now include middle school age kids in the SAME buildings!! This means students younger than high school could now have access to the P3, CCSS agenda driven Planned Parenthood. Please note, Planned Parenthood is not the only agenda driven group. There are plenty more. Ask yourselves, since ESSA has it that groups like this will help determine how ready for the next grade level your student is, HOW will they measure this?! While I provide the following as examples, please note that each named partner may also have other partners they work with and are NOT named. Regardless of how trustworthy the names of the partners/groups are, remember, this is all part of the purposed and planned overreach in the name of ‘student success’! This Promise Neighborhood in MN is governed by a private council!! 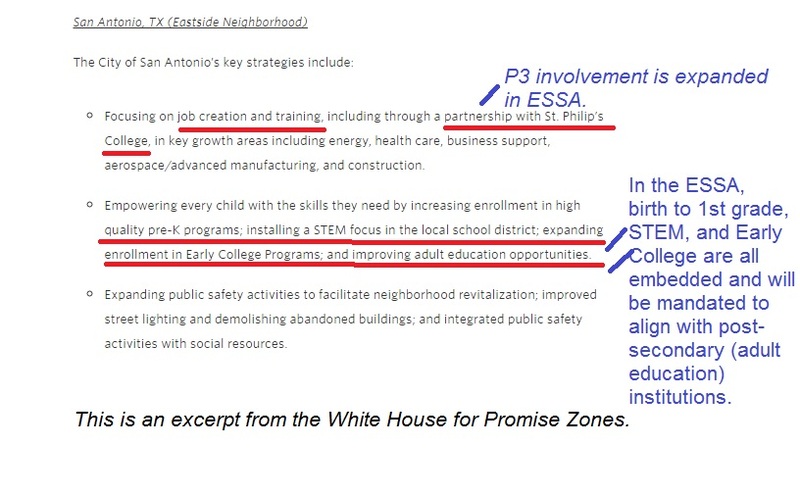 https://www.wilder.org/Community-Leadership/Saint-Paul-Promise-Neighborhood/Pages/Partnership-Council.aspx (Ask yourselves, what does this mean in an ESSA era? Will this type of governing replace current school boards, town councils, etc.?) Think I am nuts for suggesting this question? Remember the ESSA is written as an open-ended law in some of its parameters on purpose! Also, the mandate of student achievement wrap around services basically rubber stamps ANYTHING as long as it can be considered educational, a resource, or both. I hope I have not confused you on the intent embedded in the ESSA and the P3s. They mean to ruin academic education and replace it with competency based, workforce purposed, social justice minded, and constricted paths for our students. While much is being said about P3s, the danger is what ISN’T being said and how it will be carried out thanks to the ESSA! They (those in charge of government/education) do not kill you outright with guns and knives, they kill you daily by not allowing you to be who you were meant to be or doing what you want. Yesterday, I gave you a first look into the 2 Democrats running for NC Superintendent of Public Instruction. One candidate is known nation wide for her PRO CCSS/CTE/CCR stance. The other candidate appears to be on the pro CC side as well. However, as I stated, it was a first look. Today’s Monday Musings will focus on the 3 Republicans also running for NC Superintendent of Public Instruction. Let me state that the purpose of these two articles is point out that any race impacting education in this day and age of illegally based national education reform is important! We MUST know who is running in these races! We must know if they are going to continue the path of educational destruction. Or, will they ride the fence (so to speak) and watch it continue? Will any of them be strong enough to state from the start that they are against Common Core and all that goes with it? As voters, we have a right to know! (**Please note, since this article is specific to NC in most of the information, I haven’t left the rest of America out. I will share information from other states as it can point to any concerns or related information for all of us. According to his personal background, it is widely varied, just like all of ours. I would like to point out, however, that the “About Me” page has me musing. What do I mean? 1) While he did become a fully licensed NC teacher in 2015, his grammar is lacking (at least on this page) While everyone of us makes grammatical errors (including myself), I would certainly hope AND expect my Superintendent to have excellent grammar skills. I would certainly hope AND expect my child’s teacher to have excellent grammar skills, too! 2) According to his website, he became FULLY licensed in 2015. The Raleigh News and Observer (The N & O) stated he graduated in 2012 (has been teaching since) from UNC-Wilmington. So where does he stand on the issues involved in education? Again, the grammar skills! But I digress..
Now, let me pause from looking at NC here, as I know many of you don’t live here.What are some of the other states doing with their Teaching Fellows? Are their Teaching Fellows programs tied to Common Core? You bet! In Washington state, have been collaborating for a couple of years with districts and the state level education departments to align Fellows to CCSS. Let’s pick up where we left off, shall we? Be sure to read the rest of Sills’ positions on Testing, Federal Funding, the importance of reading and writing, how the high school one size fits all is wrong (sorry, Mr. Sills, it happens way before high school), and teacher pay. He has Teacher Recruitment, Retainment, and Rewards under “Other Top Priorities”, the College/Career Readiness immediately follows this. This has my musing mind in gear. Does he knows what the ESSA (Every Student Succeeds Act) has in store for NC (as well as the other 49 states)? Does he realize his stances, as stated, will only continue the educational demise of the state NOT lessen it! Common Core runs the tests now! Companies may millions off the data collected during these assessments! Teacher/Leader develop is chock full of ways to become aligned to all things Common Core, not LESS! Does he know that College and Career Readiness is the ‘new’ Common Core?! Unlike her opponents, she sees the damages of Common Core (and all that goes with it) from the health care side of our students and teachers. I have heard her speak out against these criminal-like activities at least twice. Dr. Stein, among the candidates, has been the only one to contact me directly to learn all she can about how Common Core impacts not only traditional K-12 public schools, but in the post-secondary environments, the homeschool community, and more. Personal note: As being so anti CCSS, I am thrilled to see there is one person running for office who is also against CCSS enough to want to learn all she can so she can stop it in its tracks. I am honored that I am among those she has contacted to investigate just how far, wide, and deep CCSS is in NC! We have even shared a speaking event earlier this month in the mountains of NC. While Dr. Stein addressed the early stages of learning and how toxic CCSS is, I was able to point out toxicity in all the other areas in education and how every school choice is impacted! I do not know each candidate’s schedule of appearances between now and the upcoming March 2015 Primary. It would be lovely (as well as fitting) to have 100 citizens in attendance. Cost: meeting is free, lunch and dining is optional and is your responsibility. I look forward to not only finding out and sharing with you more about those who will be vying for the office of NC Superintendent of Public Instruction, but I hope to bring you more information about HOW they would eradicate the abysmal CCSS Machine from NC (if they indeed plan to). For those of us in NC, or wherever we live, we MUST know our candidates and their educational philosophies. I, for one, do not want to waste one more vote on a candidate who says one thing and does another when elected. Especially where education is concerned. Please note that there will be no published articles 1/19 or 1/20, as I will be on the road speaking out against Common Core, College and Career Readiness (1/19), and participating in my usual media appearances on 1/20. I look forward to joining you for Tech Thursday! It’s Friday, you know what that means! Time to measure what’s truth, what’s fallacy/fib or what’s in between. Literally, a couple of days ago, I shared with you about an organization called FSG and was able to tie it, not only to Common Core, but to the Gates Foundation. Before we fire up the “Fib-o-Meter” for its weekly measurement of “Total Truth”, “Neutral”, or “Total Fallacy”, I wanted to introduce to you a group that’s a result of the combined efforts of FSG and the Aspen Institute (a huge proponent for CCSS). 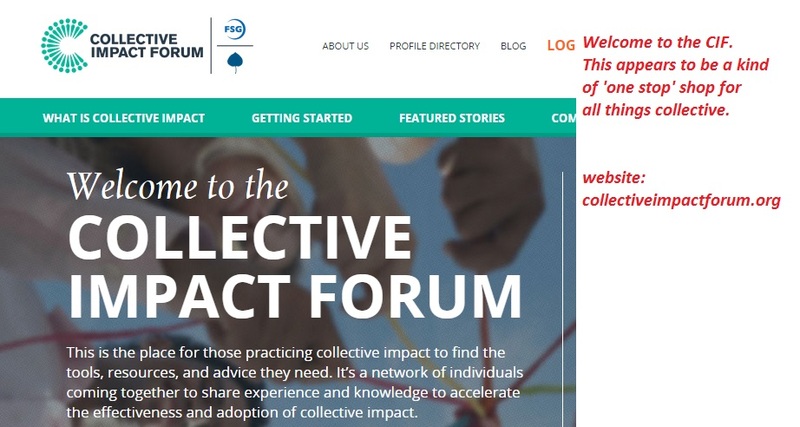 It’s called the “Collective Impact Forum”. In the screen shot below, note the tone of voice the opening paragraph gives. Nothing says ‘alignment’ quite like the ‘collective good’. If you log on to the CIF’s website, you’ll see alot about togetherness, community, and collective good. Then, on the right hand side of the screen, you’ll see a set of 3 boxes. One is about the funding. So, I clicked there. Seems CIF isn’t as ‘community oriented’ as they want us to believe. Why? You have to be a registered ‘funder’ to see whom else funds the Forum! 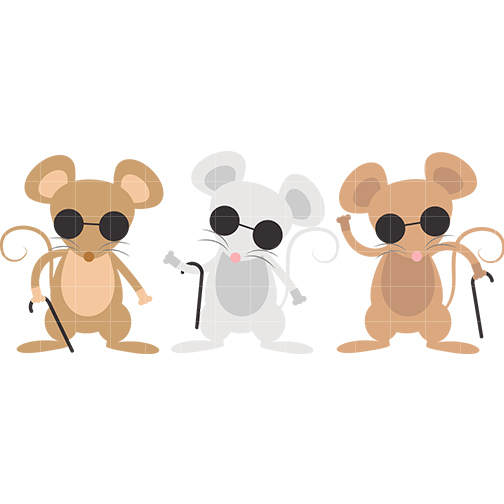 For not being very neighbor-like in a community for collectiveness, “Total Fallacy” for denying access to those who respect transparency in our organizations. Oh, those other 2 tabs, one is labeled ‘Backbone Community’ (but you have to be a registered ‘backbone’ to view the rest of the others with backs). “Total Fallacy” for again, denying transparency to the general public. The last one is labeled simply “Community”. That one I could access without being registered. Alas, this too is packed with general access. If you scroll down and see the pdf file they have to highlight their efforts in OUR communities, you have to be a registered member to have the document. I don’t think I like these neighbors very much, so far. *NOTE: After digging around and being denied entry into several portions of this online community, I was able to find out the funding foundations. Fib-o-Meter’s rating this group as one big blob. For their collective efforts in funding our collective demise: “Total Fallacy”! If you’re thinking there’s not much the Fib-o_Meter can measure today, just remember, we’ve not gotten very far. However, I did find this that from the perspective of the CIF, they feel is a “Total Truth”. Those of us fighting CC, should consider it a chilling reminder why we fight so hard for our individual students. 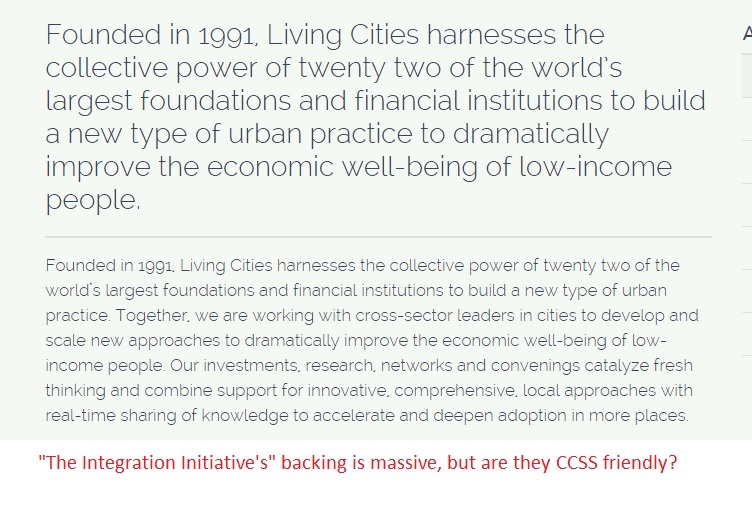 Visit, http://collectiveimpactforum.org/what-collective-impact, and as you scroll down, you’ll understand how the Fib-o-Meter measured this “Total Truth”. Before the Fib-o-Meter shuts down for another week, let’s see how it rates this last group we’ll look at today. Called “The Integration Initiative”. Why is this one so special? Let’s find out. Here’s the reason Fib-o-Meter finds it ‘special’, see below and click to enlarge it. Notice the amount of P3 (Public Private Partnerships) involvement in our education system. Certainly not a great thing at all! If you consider that P3s are how we were saddled with CCSS in the first place, you know what a “Total Fallacy” this concept is!! 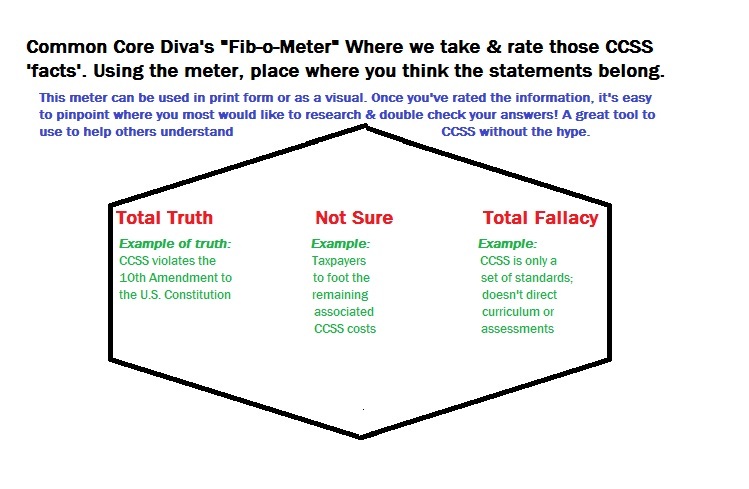 Each week, since I’ve begun my blog, we’ve looked at the fibs the CCSS Machine would like us to believe and exposed them. We’ve searched out and found the truth the Machine has wished to remain buried and brought them to the surface. I hope you’ve been able to see from this article and the one just 2 days ago that the collective mindset is ruining our education. It’s eroding our society. It’s simply a bad fit for America.